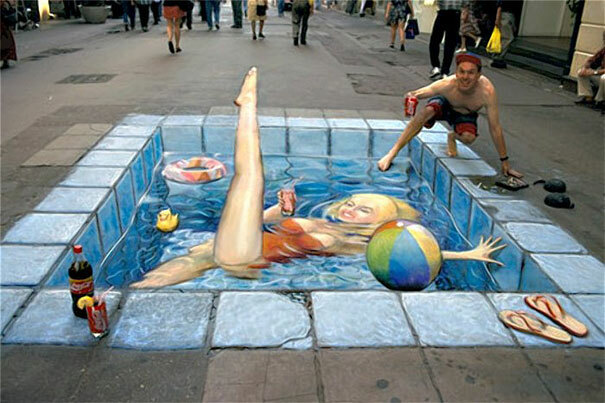 It is most hilarious 3d street art of swimming pool in the middle of street. In the pool girl swims in the water with one leg in upward direction and other leg into the water. 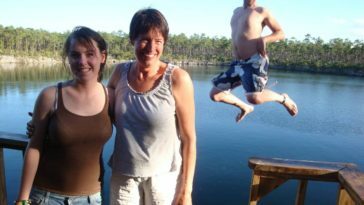 During swimming, girl enjoys with cold drink. Artist with his proficiency designed sky-blue color walls of pool, floating tube, balloon and duck that attract the viewers. In fact leg of girls in not in the air actually it is horizontal to the street.